Nathan Roberts, dean of UL's College of Education, in front of Hamilton Hall, the site of UL's original lab school. When he looks back on primary school, Nathan Roberts remembers several student teachers instructing him on each subject, learning about a variety of specialized subjects and graduating with 62 classmates. He also remembers walking from the school grounds to LSU for football games, to lounge in the student union or to take college-level courses as a high school senior. Roberts attended the LSU Laboratory School, which he says was a transformative experience for him. And now, as dean of UL Lafayette’s College of Education, he’s bringing that experience to Lafayette. 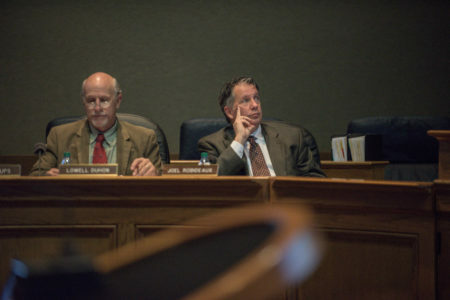 The Legislature voted unanimously to support a bill co-authored by Lafayette state Reps. Jean-Paul Coussan and Vincent Pierre making UL Lafayette’s lab school eligible for the state’s Minimum Foundation Program, which funds public schools based off the minimum cost of educating public school students. The bill was sent to Gov. John Bel Edwards May 11 and awaits his approval. A lab school is an experimental teaching institution where teachers test new methods of pedagogy. Usually, they’re associated with private or public colleges. Nestled next to its stately law building, LSU’s lab school houses students in kindergarten until high school and provides college students the chance to gain teaching experience and affords children in the school the opportunity to experience college at a young age. The schools serve as educational institutions for the students, as well as hands-on learning experiences for collegians and faculty to experiment with new teaching techniques. Most important, Roberts says, it helps students envision themselves attending college after walking across the stage for their high school diplomas. “So many [students], unless their parent is in that field, they don’t know anything about it other than what they see on TV,” he says. Years later and down the road from his alma mater, Roberts envisions the school as an educational and economic boon for Acadiana. Roberts spent first through 12th grade with the same classmates and college faculty, who often took a backseat as LSU education students led the lessons. 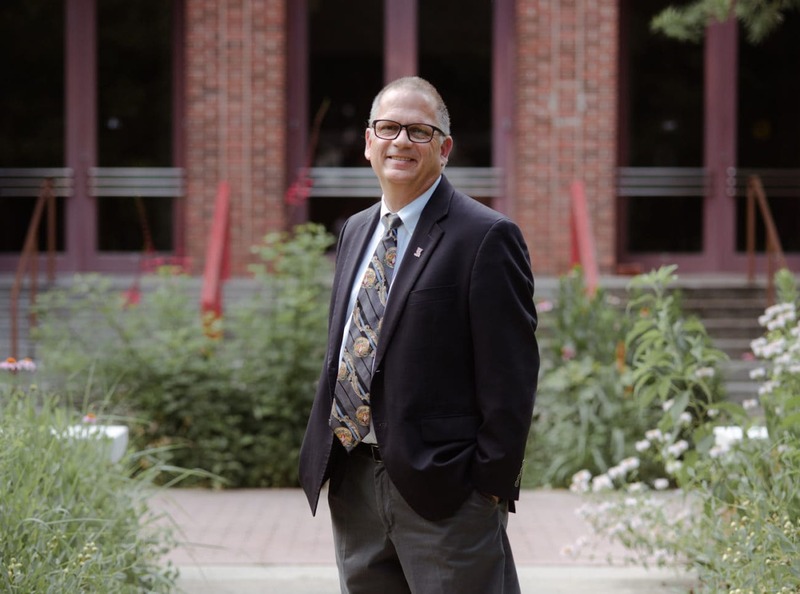 He ultimately spent 26 years as a Tiger, earning his bachelor’s, law and doctoral degrees — the latter in educational leadership, research and counseling. The idea isn’t new to the university, which previously housed the F.M. Hamilton Laboratory School from 1939-1977 but closed due to shifting attitudes about lab schools, Roberts told La Louisiane, UL Lafayette’s magazine. Lab schools as a concept have existed since 1896, with the amount of institutions peaking at around 200 in the mid-’60s, according to Education Week. The shuttering was part of a larger trend after World War II when institutions abandoned lab schools in favor of more conventional institution models. Since then, however, lab schools have grown past a simple learning resource. Some institutions, such as the University of North Carolina, are legislatively mandated to operate schools. The program, Roberts says, resembles those offered at Southern University and LSU, which both offer K-12 education, compared to the elementary school at Southeastern Louisiana University and Louisiana Tech’s K-8 program. UL Lafayette intends to focus on constructing classrooms that upend the classrooms most students endure in favor of facilities that let students move around, experience different types of learning, and, most important, learn in a setting resembling a workplace students might encounter in their professional careers. Roberts hopes UL Lafayette’s education students spend ample time in the lab school observing, providing assistance and teaching before they become student teachers around the area. The lab school, he adds, would serve as a “model” for an ideal classroom. The school, which would run independent of the parish school system, will open first for students in kindergarten through third grade, with more grades becoming available in future implementation years. Students in the lab school, which has yet to be named, will start their elementary education as bona fide Ragin’ Cajuns. Roberts says the College of Education is teaming up with Edith Garland Dupré Library to create a children’s section. They would also have access to Bourgeois Hall, Angelle Hall and the Paul and Lulu Hilliard University Art Museum. School planners have also reached out to local businesses Downtown in hopes of connecting students with the area, notably the Lafayette Science Museum, Children’s Museum of Acadiana and Acadiana Center for the Arts. Class sizes are capped at 22-24 students, with two sections per grade level, and the school projects holding as many as 632 students overall in its seventh year of existence. Tuition will depend on family income. MFP funding and other costs will affect the exact tuition, but Roberts says they anticipate tuition to be in the range of $5000 per year. College of Education officials anticipate that 25 percent of students will pay half of their tuition, 15 percent will pay a $500 fee and no tuition, and 60 percent of the student body will pay full tuition. The cost of sending students to the school depends on the amount of funding from the state. By operating off MFP funding and tuition, the school will be independent of Lafayette Parish School District tax-generated funds. The school will also host summer programs for which non-students can register. The College of Education has been in talks about the project for nearly four years, according to Roberts, with one large question hanging in the air: location. 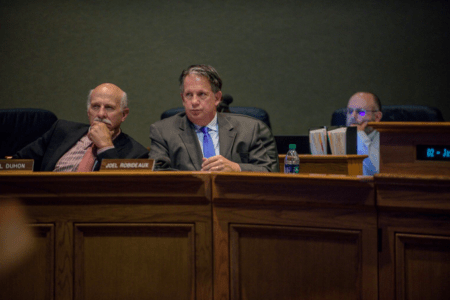 As early as 2005, UL Lafayette has acknowledged that its main campus is landlocked, making the grab for space around campus a constant struggle. The university announced its plans to expand student housing in early May, eliminating the dog park, skate bowl, ball field and dirt bike track located near the corner of Johnston and East Lewis streets. The university’s Research Park at Cajundome Boulevard and Congress Street has made headway. Roberts says lab school planners have previously eyed both areas and remain in search for a permanent — or temporary — home. Despite potential setbacks, for now the program has drawn support from the community, including those looking to teach or enroll students in the program. The lab school’s web page lists partners from Lafayette and neighboring parish school systems, university colleges of education, Leaning Forward Louisiana and Acadiana Center for the Arts. Bree Sargent, AcA co-interim director, says her organization was “more than happy” to support the school, penning a letter of support in October 2016. Roberts sees the program as a mutually beneficial opportunity for “in-depth community service,” as well as a chance to introduce foreign exchange programs in line with the area’s French heritage. Thank you for answering some of my questions about the overall development of the school, the next steps for getting it open and how it could grow in the future. It’s a wonderful addition to our community. 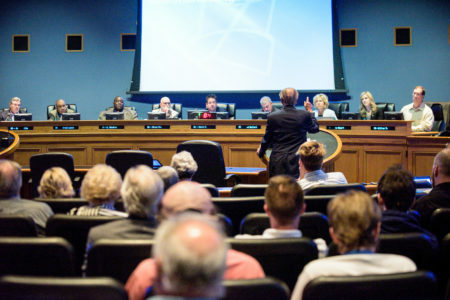 Much of the City-Parish Council, already disillusioned that it was left in the dark during negotiations, appears unified in opposition to LUS's electrical division changing hands.